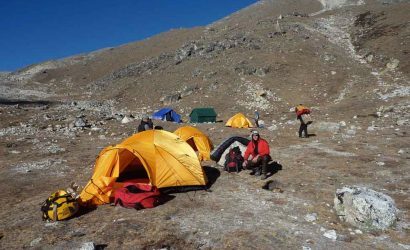 Island Peak climbing trip starts from and comes to conclusion at Lukla airstrip, passing through the Dudh Kosi valley and the popular Sherpa hometown of Namche Bazaar, Tengboche and Chhukung. We then head up to the beautiful Imja Khola valley towards Island Peak. The trip offers to witness the pristine Sherpa villages, their lively culture and serene monasteries en-route. Island Peak (6,160m/20,211ft) in the Khumbu region is one of the most popular trekking peaks in Nepal. It lies at the top of the Imja Valley and surrounded by the Imja, Lhotse and Lhotse Shar glaciers. The peak resembles to an island in a sea of ice when viewed from above Dingboche. Island Peak was named by Eric Shipton in 1952. The peak was renamed as ‘Imja Tse’ in 1983 although most people still refer to it as Island Peak. 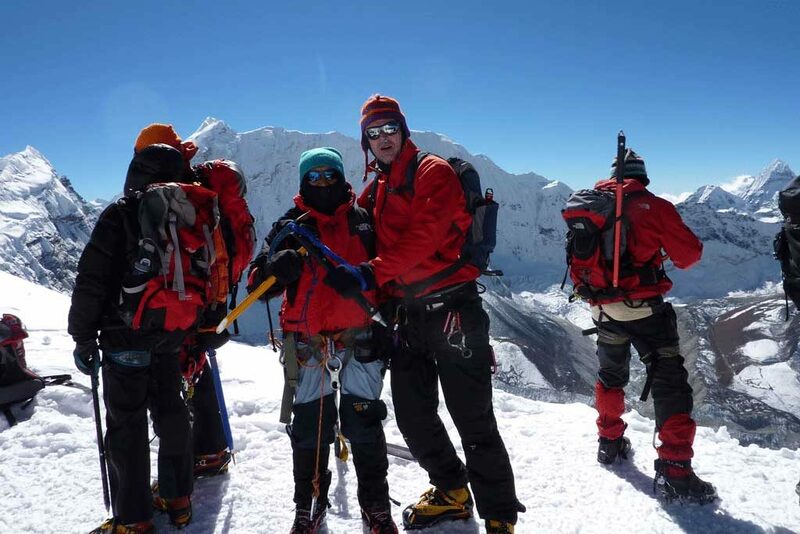 Island Peak climbing is the most sought after trekking holiday because of its challenging geographical structures. As per the NMA records, more than 300 groups attempt to scale the summit of Island Peak each year. 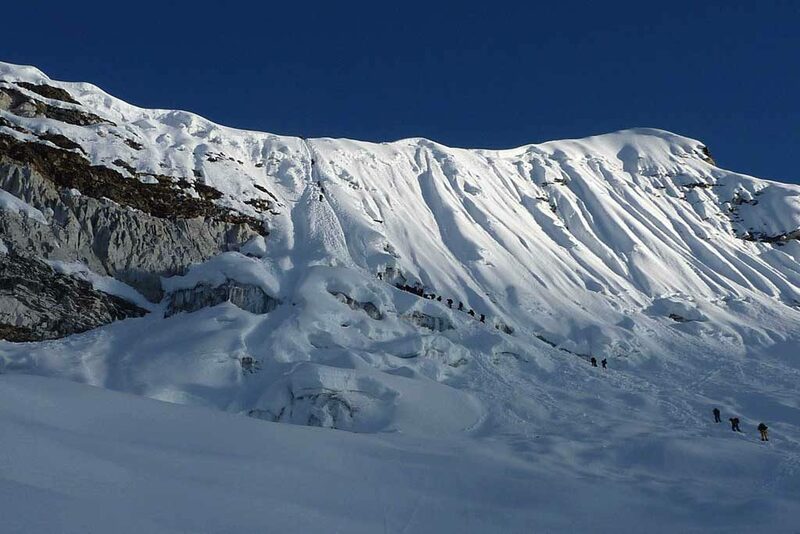 The classic expedition route to summit is the narrow north ridge but the most common route is the southwest ridge. The most difficult section of the peak is a mixed rock and ice wall at a slope of around 45 degrees that leads to the narrow summit ridge. 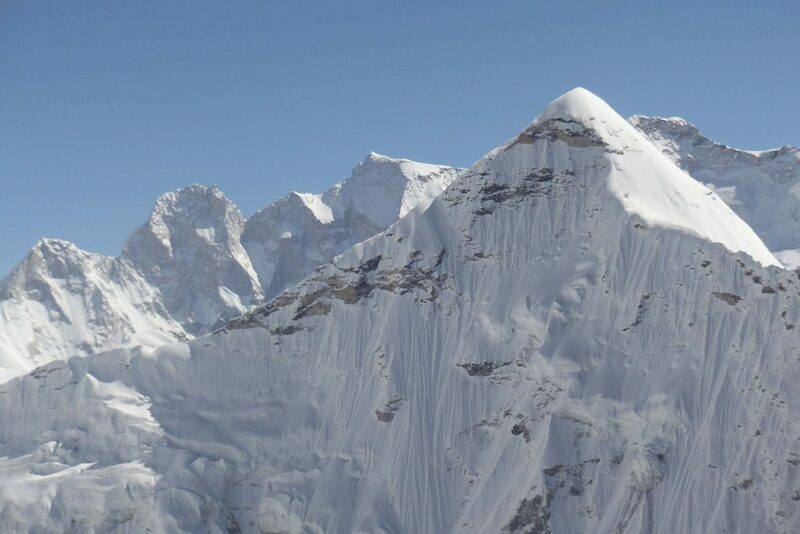 The views from the summit are stunning with Lhotse soaring above to its North, Baruntse to the southeast and Makalu to the east. Trek Dingboche to Chhukung (4,730m/15,519ft).